Santa's Naughty or Nice List -- Which List Are YOU On? Who is on Santa’s Naughty or Nice List? Many people ask me, “Santa Claus, am I on the Naughty List or the Nice List?” Some people want to know who else is on the Naughty and Nice List. Yes, everyone wants to know about Santa’s Naughty or Nice List! Well, I would like to tell people if they are on the Naughty List or on the Nice List. But, you see, my List is “Top Secret”. That is why I keep it locked in a very special place. That is why I’m making a List and checking it twice. I have to find out who’s Naughty and Nice! There is another reason I keep my List top secret. What if someone saw an old Naughty List that had your name on it? Maybe an elf caught you being naughty that day! You know I would not want to get you into trouble. Now, can I tell you a secret? Ssh. You can see if you have been naughty or nice by going to a special web page. It is my “Incredible Elf-o-matic Naughty or Nice Determinator“! If you have been good then you will even get a special certificate from me! It will say that you are “Santa Certified Nice”! So make sure you leave your certificate out for me on Christmas Eve. Then I’ll know you are on the Nice List! HI Santa my name is Johana and i am 3rd grade.and When I ask people is Santa real and they don’t believe my that your in real live and i have a sister name Elisa and I think that my sister is in the nice list and i am not.and I ready believe you.and I hope that your still alive so you could like at my message for you. Merry Christmas. Dear santa,my sister is starting to stop beliving inyou but I stell belive in you her name is Briana please all I want for christmas is for her to believe in you agin. Hi Santa remember me, Jamil. Remember I wanted a guinea pig for christmas and you gave me a backpack thank you for the backpack and you also wrote a message back to me and i am getting it tomorrow. My name is Hau Wang. I am 15 year old and etc. PS: Let me know if I’m naughty or nice list. Santa am I on naughty or nice list? I was SOOOOOOOOO good this year I can’t even TELL YOU how AWESOME I was…………. Hello my name is I know that you are doing a delivery right know. Annyeonghaseyo Santa Claus! 잘 지냈어요? 올해 저는 정말로 즐거운 시간을 보냈습니다. 착한 녀석 명단에 올 자격이 있다고 생각하지? 인사말! I’m on your nice list bcoz I never lie to my elders I respect them. I keep my room very clean. I help my mom in her daily chores. Am I on the nice or naughty list? I am very curious! Merry Christmas! I think I’m on the nice list♥I left cookies and milk for you! Be sure to visit me dear Santa! My lovely wishes of Christmas to you and Mrs. Claus too!! I hope she’s knitting on the North Pole! I really do hope I am on the nice list!! And trust me I know you only usually bring me one gift so nothing special is just fine with me. Thank you for always making are christmas traditions so special!!! Cant wait to see what you get me!! I left you mince pies and carrots for your reindeers every year! I cannot believe that your coming tomorrow night! I hope that I am on the nice list! I think I have been really helpful, lovely and kind this year. Next year I will be a House Captain and a Road Patrol Monitor. So thats why I think im on the nice list. I’ve been really good this year. I hope you have a really good Christmas . Santa i also had a question am i on the nice or naughty list ? Hi santa I know that I have some issues about my attitude and I lie a little but dont put me on th le naughty list please I really want some presrnts this year. Can you please tell the Elfs to call me asap please ,..
A toy house.and a toy bumble bee.and a astronaut suit with a helmet. Ang glow in the dark moons and stars. Yayyyyyyyyyyyyyy! I’m on the nice list! Can you pleassssssssssss FaceTime me some day? I really want to see you! I love you Santa you are the Best! Santa am I on the nice list, I have my fingers crossed and I really am praying that I am on the nice list cause I really do want my own phone and laptop. I am on the Nice list. Thank you for giving me presents and reading my letters that I have sent you. I still believe that you’re real, but my family doesn’t! Hi my name is Isabel and I just wanted to know if i was on the naughty or nice list because Pippa has said if you don’t get your halo straitened before Christmas Ev she will have to tell you. Pleas help me get on the nice list this year. HI SANTA I BELIVE ON YOU. I KNOW SOME PEOPLE DO NOT BELIVE ON YOU . I wAnt baRbei dolol satNA ploX. Or i wil exPos yU because you are real. Hear that kids? That’s right. hi my name is emily lintner and i was asking you if you could get me a pair of headphones that is blue. Ear-Headphones-Mic-Jelly-Comb-Foldable-Corded-Headphones-Wired-Headsets-Microphone-Volume-Control-Cell-Phone-Tablet-PC-Laptop- from walmart in moncks corner sc and 4 packs of earbuds. please am i on the naughty or nice list? Hi Santa! Am I on the nice list? Santa you better tell me if i am on the nice list or naughty list if not you don’t know whats coming for you.you old retarted old man. Im I on the nice list? Do you think I was bad because I stole all of the cookies from the cookie jar last night. And I might have ate all of the candy . I think I am on the nice list. Am I? I have been really good this year. For Christmas I want a Canon power shot camera and ivy and bean book 11. Am i on the naughty list or nice list please tell me santa clause. I have been really good all through the year even my family said. I will always believe in you and you might always believe in me. I do lots of talented things all the time. Santa i’m on the nice list right? You told crinkle to give me and talon a santa cam. Remember? Am I on the naughty list or bad list? Hi, Santa . I am sayam am i on the nice list or not. I think I am on the nice list because I have been trying really hard to not lose my temper. am I on the nice list because i have been so good this year and i have been looking after some of my family the ones that are sick an the ones that are homeless but I can say that this year I have been very good and Santa all those people that want presents from you will get them if they are on the good list you chose who gets them and who doesn’t get them if they are on thee bad list. i believe in u but i rather call u St.Nicholas or St.Nick is that ok with u ???? i alsp want to know if im th nice or naughty list .to be honest with u ive tried being nice sometimes i couldnt because i lost my temper or i just found things not fair. Santa, how do you truly know if a child is sleeping or awake at night? I’ve always pondered that question, and I really want to know! dear santa am i on the nice list or the naghty list????????????????????????????????????????????????????????????????????????????????????????????????????????????????????????????????????????????????????? Am I on the nice or notify list. dear Santa , I hope that I am on the nice list because I have tried to be good this year. I think I have been very good this year, there had been some hard times but I gotten through it, please read this note. I wrote another letter saying I wanted a hamster. I think I am on the nice list because I’m always nice and I tell the truth and all kinds of stuff but yea I think I’m on the nice list. Santa and Mrs.Claus is the best with all there little elves along with the,. You guys santa is SO REAL!?!?!?!?! You’re parents aren’t the ones hiding your elf. AND the thing about ms claus is that if santa is not real then MS CLAUS WOULD KNOW!!! You guys have an awesome life!!!!! I LOVVVE YOUUUUUU SANTAAAAAAA SOOOOOOO MUCHHHHHHHHHHHHH. I have been waiting for Christmas the whole year. I love writing to you and getting to watch and read your replies. I totally believe in you 100% and I believe in your reindeer too. You’re so amazing and kind as you give all the good children lovely presents. I’ll leave you a delicious mince pie and a nice, refreshing drink to cool you down. Also, tell your reindeer that I’ll leave them a big, juicy carrot to eat! AM I ON THE NAUGHTY LIST OR NICE LIST? I THINK I`M ON THE NICE LIST. 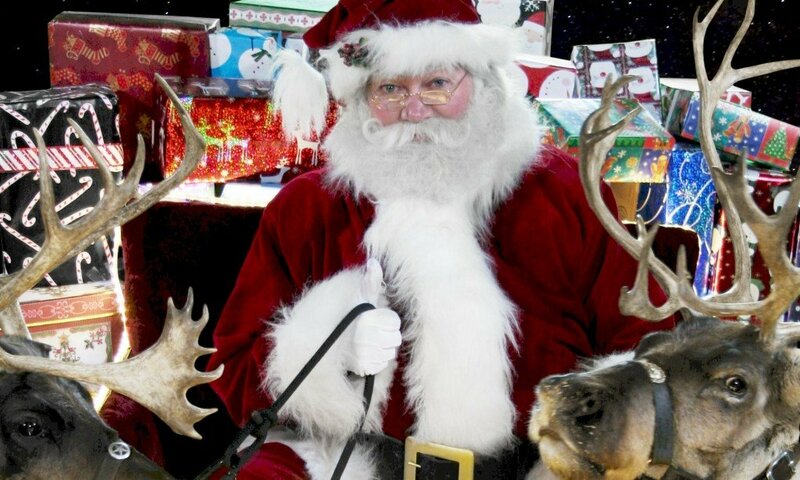 I think I have been very nice this year Santa because I have helped out with chores and jobs. am i on the nice list im 6. I love you Santa Claus! I will believe in you even when I am old an wrinkly! I will believe in you when no one else does!! I love you!! Santa I think that this year I’m on the nice list I have helped around the house without being told and I have helped out in the public to you can check on me anytime and watch in on what I do . Santa if you can may I please have an elf on the shelf sent to me I think then you would catch in on everything I do I heard a lot of the elves need a home and I think it would make a great addition to our family. And Santa if you read this I am very thankful that you did, have a wonderful day! Dear santa can you tell me if i am on the naughty list you can text me it i just want to know so text me if im on the naughty list or not ok so merry christmas to everyone. Am I on the nice list because I will be going to chgoigo but i am coming back after chrismas. you are the best sant. dear santa claus,ive been a good girl this year and i want to thank you for what you give every one ,,,,,,,,,,,,,,,,,,,,,,,,,,,,,,,,,,,,,,,,,,,,,,,,,,,,,,,,merry christmas. can you tell me If I need to do improvement. hello santa! ….and yes my name is gorilla….. i was wondering how you are able to go around the whole world in just one night!? i looked it up and last year there were 126.22 million households! i really want to know your secret! Also, please give your reindeer an extra kiss for me! Hello Santa! I bet you I’m on the naughty list so if I’m naughty where is my COAL because your supposed to give coal to naughty children or if I’m on the good list will I have a present? My name is Georgia and my favourite colour is blue. I love Cats and Dogs but I share the love with all animals. This wonderful year I have been excellent because I won a junior citizenship award on awards night. Hi Santa!!! I want let you know that you’re awesome!! P.s Theres gonna be A LOT of chocolate chip cookies and a HUGE glass of milk just for you!! P.s.s And a lot of carrots for the long trip!! I’m on the naughty list. Hi Santa, I wanted to know if I was on the naughty or nice list. I hope I’m on the good list because I do really well in school and I try and help the most I can! I’ve been really good this year. but I’m still not sure how ya can always get into those chimneys. And am i on the naughty list? I never have been. I really hope I am on the nice list. I have tried hard this year. I have been good but I have gotten into a little bit of mischeif. I just wanted to say Merry Crhistmas to all!!!! Am i on the nice list?!?! Am I on the nice list this year ? You are so good at making presents I want to be you and know you because you get the best job in the hole wide wold am I on the nice list. Dear Santa, I don’t know if I’m on the naughty or nice list because I been a little mean to my brother and I don’t feel very good about it. But, I help a lot of people out and I think I’m in the middle. I think that I am not on the naughty list. Am I on the Nice list? Also, could I be one of your elves??? I want a big donation to cancer research because there hasn’t been a cure for a super long time now and people are dying for all kinds of cancer, that needs to stop. ola santa yo creo que to eres de berdad. Hi Santa, I have written my Wishlist & posted it. IF I’m on the Nice list – I’d really love a Tablet to play games on & do my homework. What do I want for Christmas Santa? hi santa it miss fit toy here again i am feel very sad and want to cry my self to sleep to night no more cars for he !!!!!!!! i really want molly american girl doll to help me sleep at night time and help me with my specail needs day and night +++++++ and that new bed and twin bed to sleep at night time all night i am feel really sad this was my christmas dream 2018 !!!!!!!!!!!!! and feel alone and unloved and i wishes i have a purple and yellow elf on the shelf to cheer me up right now santa i am so sad i want to cry my eyes out all night in my room and not even sleep and please and thanks you help me get from mcdonalds 2018 toys tom or the next day or thur for sure please and thank you toy 10 and 11 and 12 please and thanks you santa !!!!!!!!!!!!!!!!!!!
. I. Want. For. Christmas. Santa. Gife. Paul. Shaw. Is Joseph Porter on your nice or naughty list? He’s a pretty good boy. Just needs too be a little neater. Hello Santa! I am so excited for Christmas, and I’m sure I’m on the nice list. I won’t forget the mince pies and carrots! hi santa i feel like a very miss fit toy alone toy and i feel unloved a lot and alone and sad and feel like cry my self to sleep sometime thanks you for my elfs they make me feel love and hugs please dont ever take my elfs from me and please dont let them lose they magic i some time hug them if i am feel scared or not safe or feel unloved and alone or feel like cry please and thanks you dont ever take my elf from me and dont let them lose they magic never i need them to keep me safe day and night !!!!!!!!!!!!!!!! they mean so much to me day and night and make me feel super safe i wishes i have a purple elf please and thanks you and take care santa !!!!!!!!!!!!!!!!!!!!!!! Santa I think I’m on your good list. I want for Christmas is everything because I’m rich. i think i am on your nice list this year. oh and my dog to well at least i think. Anyway i went on your website emailsanta.com it’s awesome -.Bye SANTA!! Hello Santa, I was wondering how you have been doing this year. Have I been nice or naughty? I think I am on the naughty list or almost anyway. Santa are elf on the self actually real? and I think I am on the good list. Am I on the bad list I think I am I love you. I am on the nice list because I just like to be nice. I. Wante Gife. Paulhouse Thake. I have. I. Hop. Very. Good. Santa. Merry Christmas, at my school I’m the Christmas Girl! I sure hope that it’ll snow!! Never saw snow on Christmas Day or Eve but it did snow lots earlier this year! I cried because I get too over excited lots!! Dear, santa I really hope I am on the nice list I have been really good this year. Hi my name is Victor and I want to know what you are getting me this year. Thanks bye. Hi Santa,This is me Danielle and i wanted to let you know that i think i’m on the nice list because everything that has been happening i think i have been good i hope other kids are being good back.Love You!!! im on the naughty list for sure, but i hope i can help u change ur mind. my mom says forgive and forget. Santa. Call. Me. At. Dinner. Hello Santa, my name is lexie and I want to know if I’m on the naughty or nice list ? Santa am i on the nice list. I think it was a very good choice to hide the list! Im not sure if Im good or bad… It wold be great to be on the good list! I was really good but I don’t want anything for Christmas but a happy family. papa noel yo me porto bien? espero que digas que regular porque es la verdad gracias y te quiero. feliz navidad a ti y a los duendes y por supuesto a los renos!!! Are Jackson sand Tre Benson on the nice or naughty list? Santa, I think I should be on the nice list. I have helped a lot of people and said thank you and please. Hi Santa! Am i on the naughty list or the nice list??? I’m 11 and i want a slime kit and a razer pocket mod bella scooter and a wubble buble ball and 2 barbies with Barbie clothes. And a doggy. A black and white fluffy dog son i can call her Oreo. And i think i should be on the nice list because i shared my candy on the bus. I’m I Ayva Baker I on the nice, if I’m not I will try my hardest to go on to the nice list but what ever list I’m on I will never stop believing in Santa Claus because he is who I look up to. hi i was wondering if im on the naughty or nice list i am 12 and my birthday is december 28. HEY!!!!! Santa I’m so happy i can talk yo you, thank you of all my gifts and happy moments that you give me. I have a cuestion. In what list i am ? Thank you, waiting for your answer! Hey santa I just wanted to know if i am on the naughty or nice list? hiiii im on your good list santa claus.Did you know i’ve always been on your nice list? Is it cold at the north pole because it is cold here..?? Love ypu santa claus and all of your family members like rodolf and the other reindeers and the elfs and Mrs.Claus..
Am I on the Naughty/Nice list? Can you please give me a gymnastics bar this year my parents have been trying to get me one please . My sister last two Mondays she came home. Am I on the nice list Santa Claus hopefully I am but just in case in not I’m going to keep being good. Bye Santa I can’t wait to see what you gave me on Christmas. Hey santa my name is euniceboholo im a girl. why me and my 3 big brothers3and my little brother we don’t get president but we being good nice all this year we listen to our parents to everybody. Do u know Christmas is coming soon for Christmas my first brother merviel hes 18hisbirthday is on September 3. Hes gonna be 19 he want clothes and shoes. My second brother nathan is 16 hes gonna be 17 in November he want clothes and shoes and jacket . my threed brother Daniel is 15 hes gonna be 16 in December 20 he want clothes and shoes and jacket . This is eunice im a girl im 12 my birthday already passe for Christmas i want a phone reborn baby the brown one clothes and shoes and jacket and boots and shorts pants and pants and hats. My little brother malluc hes 10 his birthday already passe for Christmas he want pants clothes and hats and shoes. NISE! I never been on the naughty list! I want a Form 2 3d printer for Christmas. Thank you for giving me the present! Plz can I have a boxing bag and boxing gloves also can I have a slushy machine. thank you for letting me good Santa I will always love you for ever and ever thank for giving me the best presents ever. Can chip bring a early gift. I love all the presents you give me can I have a reborn baby early present. I love all of you guys so and even more than you amagen . Am I on the good list??????? Am i on the naughty or nice list santa for christmas i want a iPad my other on broke:(! Micah, Caleb, and Lydia Alvarez should be on the nice list. I Think Im On The Bad List. HI SANTA CLAUS!!!!!!!!!!!!!!!!!!!!!!!!!!!!!!!!!!! I LOVE YOU! i have been a very very very very very very very very very very very very very very very very very very very very very very very very very very very very very very very very very very very very very very very very very very very very very very very very very very very very very very very very very very very very very very very very very very very very very very good bear. i hope i am on the nice list and i get all the presents i want. i REALLY REALLY REALLY REALLY REALLY REALLY REALLY REALLY REALLY want lots off chocolate and teddies! I hate you i hope your sleigh crashes and you die! I’ve not only started the year bad, but also disappointed ALOT of people. The people I’ve disappointed are within my family members. Specially my parents, both mom and dad. And look, if you wish to not bring me anything this year, it’s fine with me because I really don’t deserve anything. And the only thing that I ask you for is to bring me a PlayStation 4 Pro video gaming console. Which I don’t really deserve.I will be grateful that I at least got something for Christmas this year. Because last year I was so mad at my dad because he told me that both bumblebee and that car pack were for my little TATTLETALE cousin. His name is Angel. Every time that he sees the chance to tell on me for stuff I didn’t know or did was going on, he tells on me. And every time that someone tells me and/or gets mad at me, he laughs and starts teasing me. And I know that my dad feels so bad for me because every time my mom tells me Why I did whatever he told on me before, he makes this face in which I understand from it,”Why do you only believe them if Jason is telling the truth!!! !”That is all I want for Christmas. hi santa did you come to my house on christmas morning. I have be looking forward to Christmas for so long. Every time i go to bed on Christmas eve i cant wait to see what you have left me and how much cookies and milk you eat and drink. How do you feed your reindeer? I am just wondering am I on the nice list this year, I hope I am on the nice one! santa am i on the naughty or nice list? hi santa just want to say am i on the nauty or nice list and i think you are amazing because you delivere presents in one night merry christmas and a happy new year! Naughty for sure, and proud of it. Santa I hope I’ve been a good girl this year I go to school and learn so much I don’t stay up late I do what I’m supposed to do I have a little bit of money and I hope you and mrs claus have a good time at the north pole I love Christmas…. Santa I want you to put me on the nice list and how many times have you checked on me so far. Do your Raindeers fly at all. how do they do that. This is Ella and Santa what list am i on bexause if i am on the good list i will make a good christmas list and if i am on the bad list i will not make a christmas list. Santa big man my favorite man. Let’s talk ok I NEED TO KNOW. Am I on the nice list or naughty. All my friends say you don’t exeised. But then I ask them the questions who gives you all the presents and of corse they say your parents. Then they ask me the question. How does he get aroud the world in one night. And guess what I have a awnser. He ether’s time travels or slow time down I ask them more questions and I bet they belive in you now but you don’t need all the questions. But can you awnser my question I asked please and thankyou! Hunter is still not being a very nice boy. Time for the Naughty List! Am I on the good list? Hi Santa am I on the good list or the bad list. last year I did not get any gifts from you and this year I would like to. why does no one get to see you. Are you ready for Christmas time to celebrate jesuses birthday I believe you are a Christian and some people say you are not real but I always prove that you are real and they don’t believe me but I still try to get them to believe in you and I will always believe in you no matter what people say about me and I want whatever you want me to have.PS How is snowflake our elf doing. I am on the nice list. I love Santa although I am 10 and in Year 6. I hope you had a good summer! I think I may be on the nice list this year. I think so because I’ve been working extra hard this year on trying to get along with my sister and listening to my parents. Some of the things I want for Christmas are: 1. iPhone 7 2. iPad mini 3. American Girl doll house 4. The 2016 Leah American Girl Doll 5. American Girl Doll clothes, shoes, and accessories 6. American Girl Doll Furniture 7. American Girl Doll Kanani 8. My Life as Wheelchair Crutches set. I hope this isn’t too much trouble for you! Have a very merry Christmas! Thank you! Hi Santa! am I on the naughty list or nice list this year? I hope I am on the nice list because I’m very polite and I’m kind to my friends and family plus I’m well mannered. Dear Santa have I been good or bad and if I was bad I will work on being good. I really want a lot of logos and drawing stuff and a lab top so I can do my home work on it and a light blue alarm clock please and a pic of you and miss.claus and elfs plesa and thank you bye what we’ll the mots thing I want is an elf on the shelf. dear Santa I really love you an I would like to know if I am on th Nice List or not. Am I on ur nice list or not? Dear Santa, I have been a good boy this year. I have been listening to my mother and my grandparents. I’m sorry for all the naughty things I did this year. Am I nice or naughty? Santa am I on the nice list I think I am well maybe could you tell me I would Love to know then I would know how good I have to be. Hey Santa, my name is Anna. I felt so bad lately last night that I found out that I was on the naughty list. I was crying for I think 10 minutes. I couldn’t stop crying and..maybe you should send me a note about what I should do to become a better person. P.s, I was surprised when I found out about it. But I’m not sure. I was trying to be nice. But I just want you to know that I love you. Last year, I didn’t get a present from you. I never said that I hate you. I would never do that. I still love you because of spreading joy to the world and share generous things to other children who are nice. Am I on the nice list and can I become an elf and how could I spot one. Am I on the Nice list or the Naughty list? Am I on the naughty or nice list it would be nice to know if I need to change my behavior. I BELIEVE IN YOU, AND YOU ARE REAL. Im Rikki-Lee Wyness. How are you? And I have been sick and was wondering if you could leave a nice teddy beside my bed please it would make my day!!! list or on the good list.because everyday i help my family all the time. I want to know if I am on the nice list. I have been a really good girl. Dear santa i was wondering if i am on the nice list at all and if i am not then i understand. I think I am on the nahty list because I’m not a post to be on my tablet and I’m on my tablet..
Hi this is G.G I am on the nice list right santa. dear santa i want to ask one important question and that is in 2015 was i naughty or nice? I love you Santa I am good and bad this year I got a letter from one of your elf named Darta Sprinkletoes she said that she is 421 years old and her favrite color is purple my school is called Tesago .Please write back to me. dear santa my name is hayley smith and I am 9 years of age. I think I am on your nice list because I am such a good big sister but to be honest I dont even know which list I am on do you think ive been naughty or nice this year. I didn’t read any of that so am I on the naughty or nice list. Hi Santa how are you doing my name is Kaitlyn and I am 7 years old I am wondering if I am on the noughty or nice list. Telled me to do witch is to get a sprice. Hi Santa, it’s Audrey I’m sure you already knew about it! Every one at my school says that Christmas is all about ” presents” but I think their wrong.What Christmas is all really about is spending time with you’re family, which is truly my favorite part. Sure I like getting presents ( I will admit ) but I also love giving to deserving families. The reason I’m writing to you is because, i have a couple questions. -When did the ” Santa ” tradition start? -How many kids are in the naughty list(I hope I’m not)? -What’s you’re favorite part of Christmas? -What do you do in the summer ( I was thinking you go to Hawaii or a beach paradise)? I sure hope you answer, don’t worry i got time! was on the nice list and tell her elf that she loves her and i love my elf thanks for sending her to my house im so lucky to have u and the elf thanks for last years presents and the joy u had brought i hope u bring lots of joy this year which would be concitered done cuse u always bring joy to the boys and girls LOVE U AND THE ELF MERRY CHRISTMAS!!!!! THANKS FOR LISTENING TO MY MESSAGE THANK U SO MUCH!!!! thank you for all the presents you have given me over the years. this year I would really like to have an onki overdrive. That’s all. Santa, I want to know if you are real. Am I on the good list? Can I hve a elf on the shelf please like mins pies on a plate can I have an elf. I asked for one of these because my freinf Finley has one called elbert what a funny chap. If you send one down to me I will give you extra mince pies on Christmas Eve. Santa, this is Nichole. Am I on the nice list? Hi Santa I would like to no if Im on the nice or naughty list this year so if Im on the naughty list I can clean up my act and if im on the nice list I will ceep it up Hope you have a merry week. I got a lot of reasons that kids love you and this year. I want an iphone6 and a T.V for my room. Also,don’t forget the candy! Hey! Santa Could you send a picture of you cause I just want to make sure you are real!! Love you!!!!!!!!! Am I on the nice list Santa? I love you father Christmas your the best I would like to see you one time everybody says its unpossible. For Christmas I would like a iPod because my last one fell down the stairs,PLEASE!And thank you so much for doing all this work for never ending children in the world keep the work up . And your on my great list. I think I’m on the nice list have I been nice. Hi Santa! I really enjoyed my computer you gave me last year (I’m using it right now). Anyway, thanks for not putting me on the naughty list ever. You always spread the Christmas cheer. I just went and saw you at the mall and you gave me a candy cane. This year for Christmas I would like a Hoverboard-Segway. If that is not possible I would like a plush poop emoji pillow, a new sled and makeup. Keep on spreading the Christmas cheer! Hi Santa am I on the nice list r not I love Christmas even thogh I am bad at controlling my anger towards me sister and cusen. for Christmas I would like easy nail, dohvinci . strand bands, make your own colours Crayola . make your own colour blow pens Crayola. hi Santa can you tell me if i am on the naughty or nice list im 8 years old. thank you for reading this. I have really tried this year and I hope I am on the good list!!! Hi santa. Am I on the naughty or nice list? If I am on the nice list I really want a iPad so if you can get that I’ll be really happy. hi santa its katelyn I realy want you to get me a phone it would be awesome you are awesome please santa that’s the only thing I realy want. am I on the noty list or nice list I love you !!!! hi, santa i ve been good this year i been nice to my parents and my sister i myself this year for christmas i want a new i phone 5c and make up and Hrshey’ and Krackel and Kit Kat and crunch bar and Mentos And Nerds and Mounds and starburst pop Rocks Monster High Original Ghoul collections doll 6 pack and Monster High My Password Journal thats it and i will give you some cookies and milk. Merry Christmas Santa i love you i will see you in 4 Months i can’t wait. HI this is Neve! Holden really wants Lego sets. I really want American girl doll stuff. Are we on the nice or naughty list? hi santa merry christmas i can’t wait to see you on christmas eve! You are very awesome and I want to know if I am on the nice list. I love you Santa. Say hi to Mrs. Claus for me. If I am on the nice list I would like a phone please. Just to let you know, my sister is very good this year. So is my brother. I love my family and I respect them. I love Santa you like be good . Am i on the nice list this year i know it is march but am i and if i am can i have an iphone or ipad plese? I love you Santa!Even though I am 11! I what Xbox for Christmas is 2 iPod and a. Big toy truck. Every year at Christmas time I’m more excited then ever. Just thinking about Christmas makes me the happiest person in the whole wide world! I am trying to get in trouble less so I can make sure I am on the nice list! hi,I love x-mas. I was wondering if I was on the naughty or nice list. hey . am I on the nice list . I have been good a lot I try keeping it up. Dear Santa , I am writing to you as I have been bait naughty. I think I am On the nice list because I am nice too my friends all the time I love to help and I am good to almost everybody!!!! Hi Santa its savana.how are you doing? Colin has been hitting me and going in my face.just saying.he said sorry and I forgive him.just saying.i love you Santa claus. How old are you? I’m nine years old.how are the reindeer and elves? The grinch has been sneaking up on you on your channel cam. Am I on the naughty or nice list. Dear santa am I on the naughty list or am I in the nice list? Am I on the Nice or Naughty list?because if I am I would like a Xbox 360 and transformers battle masters. dEAR sANTA, aM i ON THE NAUGHTY OR NICE LIST? Hi Santa i want to say thank you for every thing you gave me last year. Oh and before i go i just want to say Merry Christmas to all of yous up at the north pole.Have a safe journey on Christmas eve. You have a very special job on Christmas Eve. Will you put me on the nice list. Please remember I love you. All I would like for Christmas this year is for my brothers and mother and father to have a wonderful year and that they all get what they wished for. Thank you for all 13 wonderful years with my family and I hope that you can bring the Christmas spirit to all the houses and that every children has a very merry Christmas. dear santa am i bad or good ? Dear santa sometimes I could be nicer and I try to do that people at school always try to make me not believe in you but I will never listen to them, also my grandparents and parents say I cry a lot an I try not to but something hurts I just can’t help it but to cry. Also pleas tell me if me my cousins and my brother and sisters are on the naughty or nice list . A game for my PS3 called grand theft auto 5 please . What I want for Christmas is a pink ipod 5 32GB, an otterbox cases color/glacier,and a iTunes card! Do you know are elf Buddy? He came today!! dear santa am I on the nice list?will I get a I phone 4?yes or no? I like Christmas and I’ve been asking to send you a Christmas card also I’ve been trying to draw you a picture because I love you and the elves. Merry Christmas to you, the elves and everyone. P.s. have I been good this year because I have been trying to be good. I really love Christmas and I know it is all about giving not receiving so I try to buy people christmas presents, I have a feeling that I have been bad this year but I hope I have been good. I think your the awsomeeeeeeest person on earth. I’am really looking forward to Christmas! I have really been a good girl this year! I always wanted to be one of Elves to read through all letters and make toys! I really love School and I like learning new things! Santa you have really inspired me to be like you! I am so glad it’s almost Christmas! I’m so exited. And r any of those quizzes real about the naughty or nice list? HI SANTA IT’S CAMERON!PLEASE WRITE BACK! I REALLY WANT TO BE ONE OF YOUR HELPERS. AND IM REALLY SERIES ABOUT THIS!NOW,PCK ME UP AT CHRISTMAS AND ARWARD ME WITH TOYS. I NOW I WILL MISS MY FAMILY BUT JUST DO IT ANYWAYS! AND PLEASE PLEASE PPLEEAASSEE WWRRIITTEE BBBAAACCCKK!!!! love you Santa! your so so so so so so so so AWESOME!!!!! should I still call my friends a jerk even thought it stands for a :Jurnior edgicatited rich kid? Hi Santa am I on the naughty list ?? will you really give me a present? i know i have been pretty good but i have kept up the good work and now im very good! what is your number? Is it true im on the nice list? am i on ur nice list? My question will be am I at your noughtty or at nice? how do you become a elf???? I’m I on nice list ???????????? Dear Santa, I know some naughty language has slipped from my mouth from time to time, but in regards of how nice I’ve been, I know and you know that I can do so much better before Christmas, so I will do my best, do what I’m told to do, and stay out of trouble, if I have a problem, I will do my best to just walk away from the problem, which I know that children can do, but choose not to and wine and cry about the problem. I will do better and show my appreciation to my mother, my friends, and family. I give you my word, so lets hope for some more nice than naughty! Love, Austin, from Missoula, Monatna! Dear Santa you are the best in the world well it depends on my mood … So really up to you but if you deside I’m good I hope I’ll get a ctificate but you might not have time. Hi Santa how do the elf’s make present s anyway more to the point am I on the good you are the best in the wold merry Christ may! I hope I’m on the good list I understand that my attitude is a bit bad a lot of the time but I promise it will change it merry Christmas! hi santa its me mikayla at 26 maple drive. I want to know if I have been naughty this year or nice please respond as soon as possible. I think I am on the nice list because I have helped a lot of people this year and I have had a positive behavior. Am I in the nice or naughty list? I hope I stay on the nice list Merry Chrismas! I think I am on the nice list because I helped and cared about my family. I really want an Ipod for Christmas, can you ask your elves to make me one please? your the coolest on earth!!!!!! Am I on your Nougthy or Nice list this year? I think that I am on Santas good list. I am an animal lover and always do good deeds also I volunter for people who need help. I really want nba 2k 13 for wii madden nfl 13 for wii and a remote control helicopter. I’m 11 years old. I really want an iPod Touch, Fushigi Ball, and a Bratz Doll for Christmas. I would love you if you got me a horse. (a real one) I want one because ie been riding horses for 4 years and I love horses sooo much!Thank you for this blessing to have a man like you. Why do you deliver presents to all the good boys and girls? I love cleaning I am never mean I help my brother with his home work and I am a plus student. I am mostly nice and helpful but sometimes I can be a bit naughty. I hope me and my brother Devin is on the nice list. I hope im on the good list and i want an ipod with a zebra patteren,sparkles,with green, blue and purple colors in oder like the green that turns in to blu then the blue turns in to the purple but not like my alarm clock.i also want a phone like my friend jade’s phone and it has a ringtone like a song i pick that is and i get to pick aringtone and i pickit out of all songs and idon’t need minutes and one more thing that is very inportant that i have the best cristmas ever! Hi Santa I just have one question am I naughty or nice. I love you santa clause you are really good and your reindeers are lovly and nice and goo and so is your elves and so is mrs clause i bet you making tastes great. bye bye see you at christmas. them other gifts THANK YOU VERY MUCH! list??? lots of love and kisses Aisling.xxxoo. am i on the nice list!!! :D? am i bad? well thank you for this. Santa, am I good or bad?It’s because my brothers say im good and I think I can also be bad sometimes. Merry Christmas!Ho! ho! Please write back. Which list am I on? I have been looking on the internet to see if I could be on your good and bad list. You r so jolly and kind.Santa, You rock!!!!!! love christmas so so so so much presents!!!!!!!!!! hi santa hope you will bring me presents i wished i could see you for real?? it;s good to be good. HI SANTA!I HOPE UR DOING GREAT! !ANYWAY IWANT A MAGICAL ELVE PLZ.OH AND I CANT BELEIVE THAT UR ELF CAME TO MY HOUSE AND HADE FUN! !LOVE U ALL! Santa, I want a laptop for mefor christmas please! Am I on the nice or naughty list? I hope I”m on the good list.Please wish me luck. Santa I would like to have a lot for thing for christmas in 2011. A monkey webkinz. A chinchilla webkinz. A giraffe webkinz. Zuz Zuz pets. A ds. Tell me what list im on. Your funny when your tummy shakes like a bowl full of jelly. hi santa i love u! can i be a elf? what do u look like? You are funny when you shake your belly like a bull full of jelly. Dear Santa, I hope you give my family the best Christmas ever! I want to know if I am on the Nice list or the NAUGHTY list. My family is not doing so well with money this year. I was hoping that you could get me a few presents this year. You only have to give me one or two. Please help me Santa. hey santa am i on the naughty or nice list. Hi Santa. Am I on the nice list? What about my brother, Hudson? See you later tonight. santa am i on your nice or nautey list? i luv u santa your sooo coooll how you can deliver presents to everyone in 1 night OMG HOW DO U DO IT???? ?